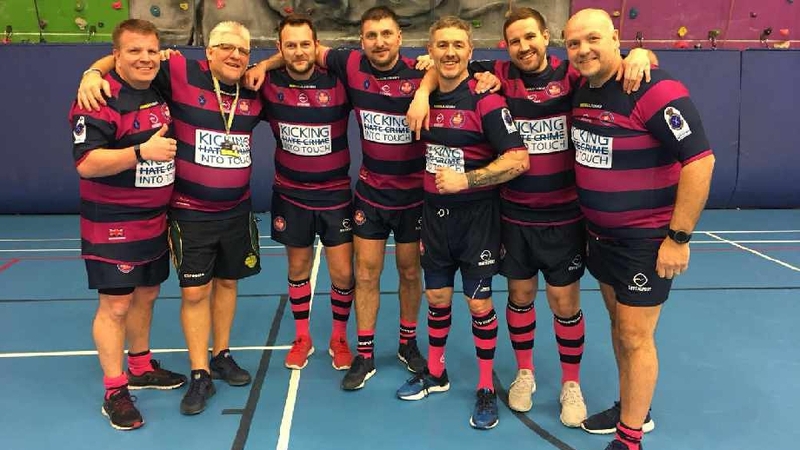 Police officers from Oldham, Rochdale and Tameside divisions along with hundreds of other players have raised thousands of pounds for Mahdlo Youth Centre while taking part in a marathon 13-hour game of rugby. The event took place at Mahdlo Youth Centre on Saturday (26th January) and included 15 officers taking on rugby stars including the likes of former Leeds Rhinos players Kevin Sinfield and Barrie McDermott, and former Welsh international Iestyn Harris, all hail from Oldham. Teams from right across the region were on hand throughout the 13-hours to take on Greater Manchester Police with the organisers hoping to raise around £2,000 for Mahdlo. However they smashed that target, collection more than £4,000 in the end.